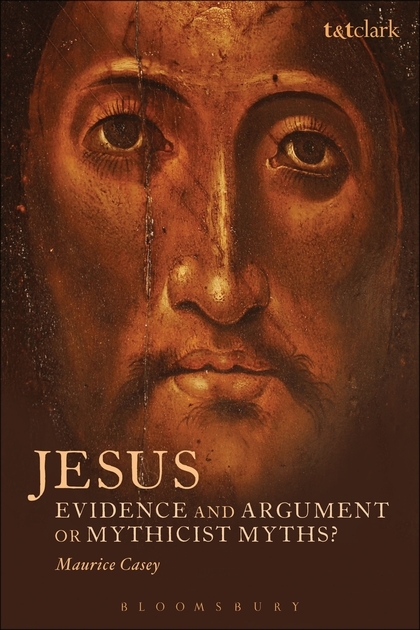 From time to time I have half a mind to continue with more of Maurice Casey’s responses to those he sees opponents of himself and his friend Stephanie Fisher in Jesus: Evidence, and Argument or Mythicist Myths, but each time I pick it up I am reminded of how every page drips with such depressing malice. But for now to fill in with a short post while I’m preparing several other longer ones for later let me address just one little choice detail Casey leveled at me. Given Godfrey’s outspoken views, it was almost inevitable that some scholar, despite always being polite to decent colleagues, would reciprocate. Godfrey commented on him, ‘So these are the “honeys” adored by the likes of Maurice Casey’s fans. Charming.’80 There is no excuse for this description, and his removal from Godfrey’s blog, like the removal of Stephanie, is totally hypocritical. Casey helpfully supplies a footnote to the evidence for my dastardly deed. Presumably it is routine for Casey and those he knows to ignore footnotes since this is the only reason I can imagine he would have added it. The link to which the footnote leads, I think, demonstrates just how hypocritical Casey is for such an accusation. I invite readers to read the page Casey links to. The post is titled: Highly Esteemed Friends and Supporters of Steph and Maurice Casey. In particular I would draw any interested reader’s attention to the comments following that post where more context is given. Maurice Casey says this scholar was reacting to my “outspokenness”. Here is the first encounter I ever had with that “scholar”: Two misunderstandings in biblical studies: the nature of “scepticism” and “evidence”. It was from this point on that I was in this person’s line of sight. I was never allowed to post any feedback on his own blog when I thought he had misconstrued anything I had argued or had failed to read my mind and motives correctly. Here is the post of mine that Casey says provoked this person who is always polite to “decent” people: A serious take on Maurice Casey’s “Jesus of Nazareth”. And here is the good scholar’s comment that Casey apparently felt was entirely justified and to which I was oh so hypocritical in my response. As you can see from my response it never occurred to me that I was dealing with anything other than another hot-headed, foul-mouthed fundamentalist loony. I have since learned that Jim West has listed him (his name is Deane Galbraith if you’ve been too lazy to look up the links so far 🙂 ) as an up and coming scholar to watch. Let’s finish off here with a comment I once attempted to post somewhere in yet one more effort to attempt to restore some sane and courteous discussion with Stephanie Fisher, the good friend of Maurice Casey who has in many ways claimed significant responsibility for much of the content of Casey’s book. I reminds me of how I have long wondered why it is that that little coterie of self-described “independent scholars” (Casey, Galbraith, Fisher, Crossley) have proven themselves to be such visceral haters of me personally and this blog. Steph, I am sorry that you have seen my posts as misinterpreting and making fun of other scholars, and in particular I must defend myself against your accusation of name-calling and worse. I have a great deal of respect for a lot of biblical scholarship — and its scholarly authors — and have posted many reviews and discussions of scholarly works of a wide variety of views on my blog (including some ideas from the thesis of the author of this blog). I have received positive feedback from a number of mainstream biblical scholars in response, several of which have been publicly posted in the comments. I was once asked by a academic editor to prepare some of my posts for publication in a scholarly journal. There have been a few times when I have inadvertently misrepresented a scholar (e.g. Mark Goodacre and R. Joseph Hoffmann), and both times when notified I immediately apologized and corrected my post. At the same time I have found some scholars and scholarly students comment on my posts with obscenities, foul language, and personal abuse. Yes, I have sometimes injected some humour into some posts where I do address some fundamental logical fallacies in certain arguments and methodological approaches. Surely a little levity is allowable from time to time as long as it does not descend into personal insult or ridicule. Your imputation that I called you a vampire and Fredriksen a naughty schoolgirl are absolutely false. Yes, I did twice address certain repeated behaviours with colourful analogies (e.g. my vampire and naughty schoolgirl references) , but in both online and offline personal communications I have spoken to you with respect and attempted to work towards peaceful resolutions of our differences. I have also addressed Fredriksen’s views with positive respect a number of times on my blog. I do admit to one partial exception to the above, and I have never been able to tell if Dr James McGrath is wilfully twisting my posts or blinded by preconceptions to my meaning. Even in this case I did express regret on his own blog for once losing my temper with him. And yes, I do speak out if I believe a scholar is betraying his or her responsibility as a public intellectual for some reason and either fanning public bigotry and ignorance or capably making misleading claims. Many of my posts are reflections on scholarly articles and books, and I believe you will find listed in the dozens of authors in my blog categories many positive comments, and where I express criticisms I address the arguments without any personal abuse whatever. Posted on 2014-04-16 10:36:25 GMT+0000 by Neil Godfrey. This entry was posted in Biblical Studies and tagged Casey: Jesus, Maurice Casey. Bookmark the permalink. Is Deane Galbraith the ‘scholar’ who posts articles comparing the heights of Chewbacca and Goliath? Is that actually a serious blog? I haven’t seen that but I have seen he is listed in the scholarly databases for having written an article on the hidden biblical allusions in the lyrics of U2. And Hector Avalos tries to tell us that biblical studies are irrelevant nowadays!